In 2014, the Society decided to inaugurate an Annual Lecture from a distinguished speaker on a subject of current interest or concern. Please note the date of the Annual lecture has had to be changed and is now in the Botanic Gardens on Monday 15 October at 2.30pm. 15th October, 2018, 2.30pm at The National Botanic Gardens Dublin. 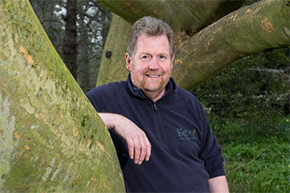 Lecturer; John Anderson, Keeper of the Gardens Windsor Great Park. ‘Arboreal treasures cultivated in Irish and British Gardens’. Free Admission, Open to the public. This year's lecture will be given by Thomas Pakenham. His title is Who Speaks for the Trees? 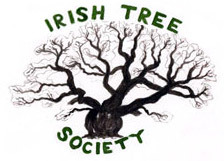 : the first 25 years of the Irish Tree Society. Thomas was a founding member of the Society in 1990 and continues as our distinguished chairman. The lecture will be in National Botanic Gardens, Glasnevin on 5 October at 2pm. No booking is required, and the lecture is open to members' guests and the general public. Conifers in Crisis: the work of the International Conifer Conservation Programme. Martin Gardner has been associated with ICCP since its establishment and is a leading expert on this issue. He has published extensively and actively for the past 20 years on endangered conifers, especially those of Latin America (notably Chile) and New Caledonia. He has visited over 30 countries to study and collect research materials of threatened conifers.